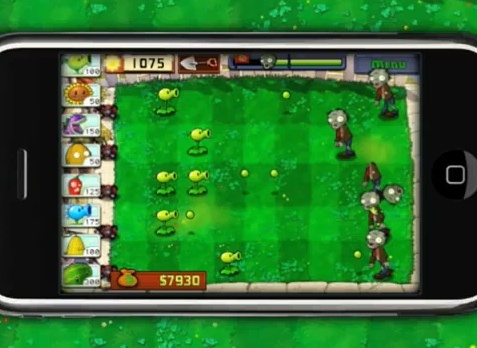 TUAW reports that PopCap, developers of many successful iPhone apps and online games, has released some sales information regarding their highly successful Plants vs. Zombies for iPhone and iPod Touch. The report says the app has sold over 300,000 copies in just 9 days breaking all previous records in terms of profit. Many apps have been able to generate over a $1 dollars in sales, however not many have been able to do it in just over a week. Many might argue that PopCap’s reputation of making high quality, successful games online may have played a role in their ability to generate so much attention for the app so quickly. However, its still a bit of mystery as to why it has received such a warm welcome in the App Store at $3, considering the game is already available to play absolutely free online. Although its also worth it to point out that its not JUST another iPhone game, as it has reviewed a ton of support, exposure, and great reviews from the entire gaming industry.